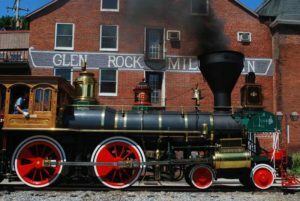 The Glen Rock Mill Inn and Steam Into History come together to bring you a special discounted package for you and your friends to enjoy a delicious Sunday brunch and a scenic train ride through the countryside of southern York County. The package includes your train ticket from New Freedom to Glen Rock and back, an all-inclusive brunch (including tax, gratuity and associated fees). Our Sunday Brunch Buffet offers a full selection of breakfast and lunch options for your enjoyment. Start with a cup of our soup of the day and selected cold salads, followed by a choice of 3 hot entrees, bacon, country sausage, breakfast potatoes, and fresh vegetables. You can also choose from our chef staffed omelet and carving stations! 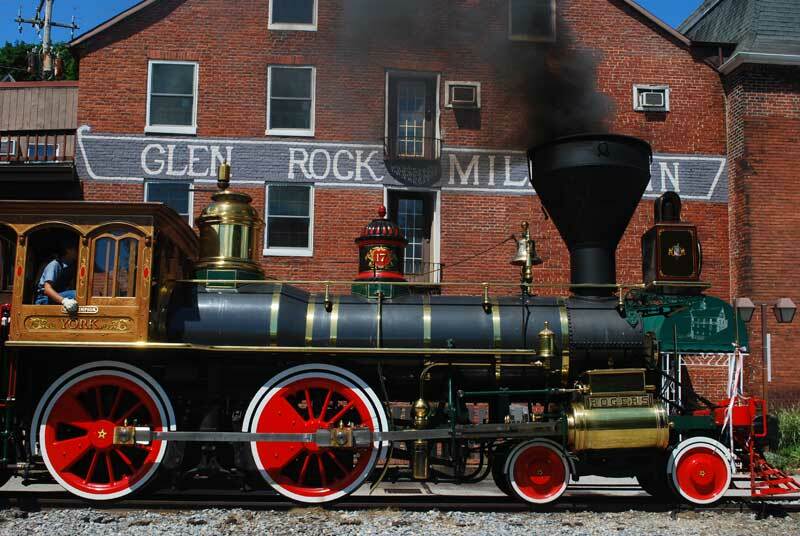 The Sunday Brunch Train leaves the station in New Freedom at 1:00pm and arrives at Glen Rock Mill Inn at 1:30pm, brunch and additional time to explore the Mill and downtown Glen Rock is from 1:30pm to 3:00pm.The train departs Glen Rock at 3:00pm and arrives back in New Freedom by 3:40pm. **Reservations for parties with children 12 and under and groups of 10 or more, please call and ask for Brandon at (717) 235-5918. Train and brunch seating is limited. All inclusive tickets to include the gourmet brunch buffet, soft drinks, coffee, tea, gratuity, tax and your train fare! Mimosas are available for an additional $1 each, and Bloody Marys are also available for an additional $4 each. PLEASE NOTE: You must bring your ticket or electronic proof of purchase to the NEW FREEDOM STEAM INTO HISTORY TRAIN STATION to redeem. Limited seating is available. Please arrive at the Steam Into History station at 2 W. Main Street in New Freedom, PA 30 minutes prior to your scheduled departure.